We have clay chimineas back in stock. This is the best Clay Chimineas we have ever recieved! 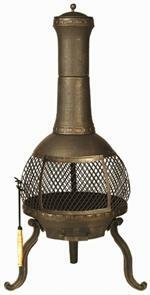 THE FINEST CAST IRON CHIMINEAS MADE!